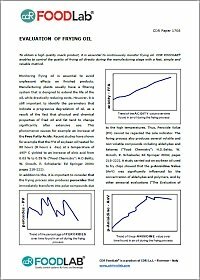 To obtain a high quality product, it is essential to continuously monitor frying oil. CDR FoodLab® enables to control the quality of frying oil directly during the manufacturing stage with a fast, simple and reliable method, the ideal system to monitor the degradation of frying oil, cooking oil, waste oil. Snack foods are currently consumed by millions of people of diverse cultural backgrounds in many countries because they are tempting snacks if characterized by crispness, brilliant colour and flavours. However, these products can undergo degradation processes, first of all, the lipid oxidation which causes rancidity and off- flavours. There are several methods to test the shelf life of snacks and bakery foods, but CDR FoodLab® is the only one, not only to be a green method, but also, it is able to give an actual measurement of oxidative stability of finished products, in a simple and fast way. 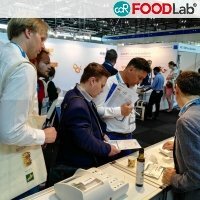 CDR will be at SNACKEX in Vienna the next 21st and 22nd of June. SNACKEX is the international event for the savoury snacks and snack nut. 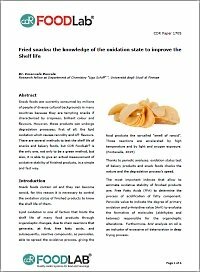 We exhibit the CDR FoodLab® for the specific application on snacks: fried potato chips, extruded and pellet snacks, tortilla chips and the various types of snack nuts. CDR and its American distributor have presented the new CDR FoodLab®at Snaxpo 2015, the most important event of the snack food industry, showing the features of the new analyzer and performing with it demo analysis on different kind of matrices involved in the production of snack food: from finished product to cooking oils, vegetable and animal fats, nuts, eggs and egg products, milk and so on. CDR chooses Snaxpo for the worldwide CDR FoodLab preview. The new analysis system will be presented at the american Snack Food Industry trade show, identified with the most influential organization in the sector, the Snack Food Association. From 28th to 31st March at stand #226B is possible to see CDR FoodLab® and analysis demos. 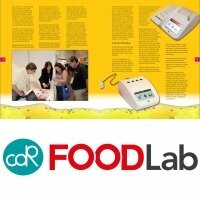 Do you want to know where the CDR FoodLab® analyzers have been showcasing in the last month? Read the article by our Marketing Manager, Gabriele Casini, reporting about the past appointments with the trade shows our foreign distributors has taken part to. From 1st to 4th of March Snaxpo 2014,the fair of the American snack industry, takes place in Dallas. Crystal Filtration, CDR FoodLab analyzers’ distributor in the USA, will take part at the event.